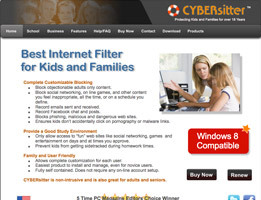 Net Nanny Parental Control has been devoted to offering internet solutions since 2001. With over a million customers in 135 countries, Content Watch has a lengthy record of helping parents and businesses better monitor computer usage while keeping internet users safe. All Content Watch software incorporates technology that offers an effective filtering process which has helped Net Nanny become an industry leader. PureSight Technologies mission is to provide children with a safe online environment. 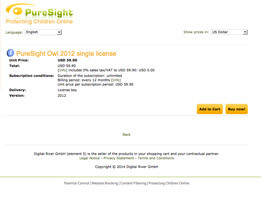 Started in 1998, with their PureSight Owl, they have offered parents a tool to protect their children from the threats of inappropriate internet behavior PureSight Owl uses both Active Chat Inspector and Active Content Recognition, both proprietary software, to offer children a safe and enjoyable internet environment. McAfee, formerly known as McAfee Security, was founded in 1987 and has grown to become the world’s largest security technology company. The company was started by John McAfee, an innovator in computer security. McAfee is headquartered in Santa Clara, CA. 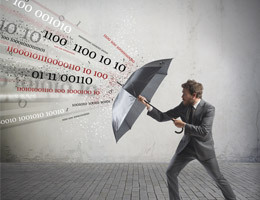 Customers of McAfee Family Protection benefit by having their software backed by an industry giant. McAfee also offers customers a 30-day free trial. The SafeEyes software was originally designed and offered to the public by Internet Safety. 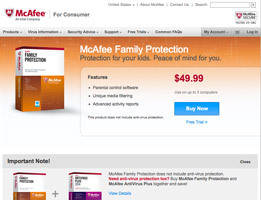 After McAfee purchased Internet Safety, the software is now available on the McAfee label as McAfee Safe Eyes. McAfee is a world-wide leader in internet security and offers its customers an extensive support system, offering protection to parents from the many and varied threats of the internet out there today. Since 1990, CYBERsitter’s parent company Solid Oak Software has been committed to computer security. They have been a leading innovator in internet security since the first chatrooms were created. In addition, they are trailblazers in the internet security business. CYBERsitter first became available to consumers in 1995 as a retail product through big-box stores. Now, CYBERsitter can be quickly downloaded online.